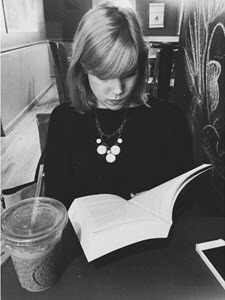 I feel like I talk pretty frequently about how I sometimes struggle to enjoy young adult books as much as I do adult novels. I used to love them! How have I gotten old enough where the romances and storylines seem juvenile? I don’t think I really have, I just haven’t found that book yet. Every now and then a We Were Liars or an Aristotle and Dante come along and challenge these beliefs. This time, it was Dangerous Girls by Abigail Haas. A group of friends go on a trip to Aruba for spring break, expecting nothing more than a week of fun, sunshine, and drinking. But the worst happens when one of their friends, Elise, is found dead in her room. Did someone break in? Was it the man who’d followed them home their first day? Or, was it one of the group? When Elise’s best friend, Anna is convicted of the crime, she must fight against wealthy lawyers and island natives to prove her innocence. The story jumps around, going from how Elise and Anna became friends, to the trip, to parties and boyfriends and family affairs. It makes you question…pretty much everything, in a way. I don’t want to say too much about this because I would hate to ruin it for anyone. I read this in about 5 hours as I waited for the snow storm the other night, and it did not disappoint. It fits right in with the mysteries I can’t seem to get enough of lately. 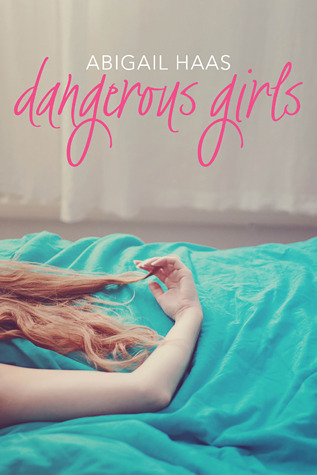 If you’re looking for a book that you absolutely won’t be able to put down, and something to keep your guessing from start to finish, Dangerous Girls is something I would highly recommend. Plus, it takes place in sunny Aruba, and we could all use a getaway from the winter at this point. Even if it is to solve a murder. Aaand I need to check this out. It’s just seriously SO good!